In my mind there is a continuum when it comes to how people design recipes. Almost everyone start out brewing recipes and kits to the letter, this takes the lowest amount involvement and can make some very tasty beers. After that most people begin to make subtle tweaks, changing a finishing hop, or swapping base malts, relatively minor changes, but it allows you to feel some control and ownership over a batch. After that some people start synthesizing recipes by combining the grain/hop/yeast bills from multiple recipes to craft something that gives what they are looking for. Finally there are those that start with an idea (original or not) and build a recipe based on general concepts and specific ingredient preferences that they have learned from experience and research. All of these methods are perfectly valid, and at various points I have (and still do) practice all of them. That said, the batches I have enjoyed most over my time as a homebrewer tend to be the ones I spent the most time designing. This is not always true of course, and it certainly could be a result of some cognitive dissonance on my part, but I'd like to think it is because I know what I like to drink better than someone else does. I am often let down when trying to brew someone else's a recipe exactly. I find many recipe are too heavy on the crystal malt for my taste, or for whatever reason just don't match the vision of the beer in my mind. This is especially true for random authorless recipes off of websites and message boards. I have had better results brewing recipes from the homebrew big names like Denny and Jamil, but I have made several (like Denny's RyePA, and Jamil's Amber) that I did not care for. Despite the 0% showing there was actually one person who indicated that they mostly brew recipes from people they know. I don't do this as often as I should, but I have had much better results with this than brewing recipes from books or the internet. It is very nice to taste a beer before brewing it so you know you enjoy it, a nice bonus is that it enables you to ask all the questions you want of the person who brewed it. Part of my goal with this blog is to give the why just as much as the what when it comes to my recipes. Hopefully that helps those who want to brew them to better understand the reasons behind the malt/hops/yeast choices. I also hope that it makes it easier to tweak the recipes for you own tastes if that is what you want to do. I also realize that some of you are just looking for a spark of inspiration, so hopefully reading about my thought process will help you as well. I have to agree. The research might be the best part. Its is more fun (tho potentially disastrous) to start with an idea and build the beer. I'm racking a sticke onto carrot juice tomorrow - it could go either way. I also think you can only get so much from following recipes to the letter. Every set of equipment and each brewer, thru experience and preference, adds subtle differences to the process that can't be captured in a recipe. I'm sure you and I would make the same recipe into a different beer. "I'm racking a sticke onto carrot juice tomorrow - it could go either way." Umm . . . I have a feeling it'll go one way. That being said, building a beer around an idea is one of the most fun parts of brewing. I find the creation of the recipe to be the most entertaining part of the hobby. However my wife disagrees as I spend hours with textbooks and the internet in front of me looking for inspiration and hard to find ingredients. The "why" that you leave on your blog is what makes it worth reading. I don't want to make your recipe, but understanding why you did what you did helps me decide what I might want to do (or not do). It's makes the blog like an exotic remote homebrew club! I will admit however that I 90% copied your dark orange rosemary saison, although you 90% copied Pizza Port/Lost Abbey, so we're even! 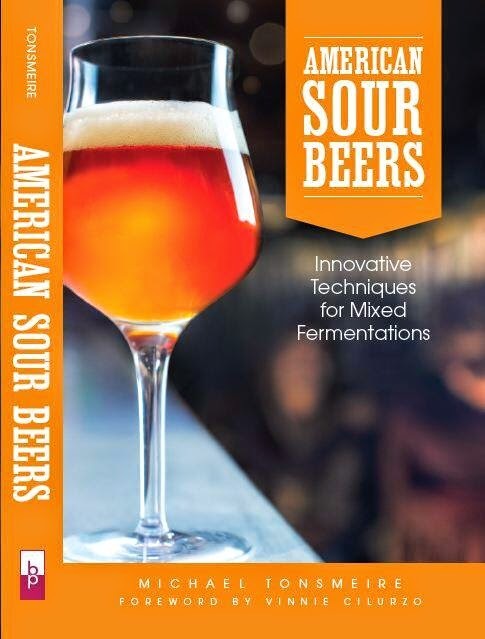 Your audience is a bit skewed from the average homebrewer towards people that will typically custom build recipes.